This is considered a classic Filipino dish, it’s simple yet flavorful. 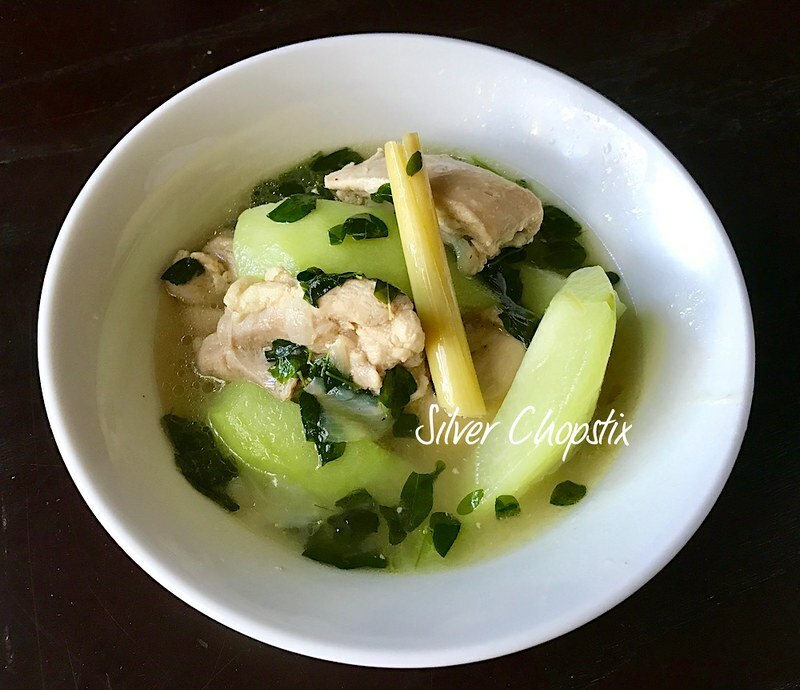 The original recipe does not include lemongrass, I just added it because I love it’s aroma and flavor and I know it will go well with ginger. To make, heat a medium sized pan with about 2 tbsp. vegetable oil. Add 1 stalk lemon grass that has been smashed and 1 thumb sized ginger cut into slivers, saute until fragrant. Then add 1 medium sized chopped onion and cook until transluscent. To this add 1.5 lbs skinless chicken thighs (or any cut of boned in chicken). Note: Removing the skin is my personal preference, you don’t have to use skinless chicken. Continue cooking until the meat loses it’s pink color. Season with 1-2 tbsp. fish sauce and several dashes of black pepper. Place 5-6 cups water and let this come to a boil. Don’t forget to remove any scum that forms on top. Then lower the heat and let this simmer until chicken is done. 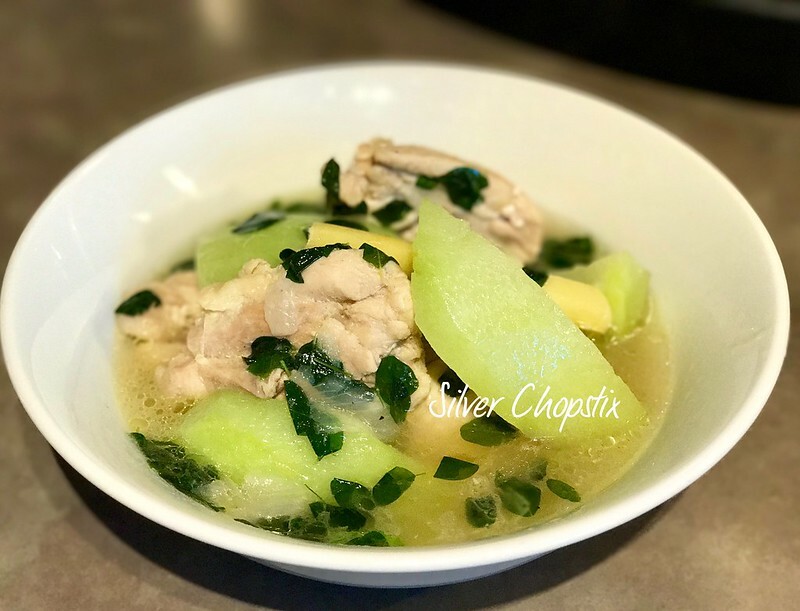 Add your sayote (chayote) and cook until tender. Then add your malunggay leaves, stir and cover then turn off heat. You can substitute spinach in place of malunngay leaves. We usually eat this with rice and a dipping sauce of soy and lemon though some prefer fish sauce and lemon.